Jars of baby food make this carrot cake super easy to prepare and bake, and it tastes great! 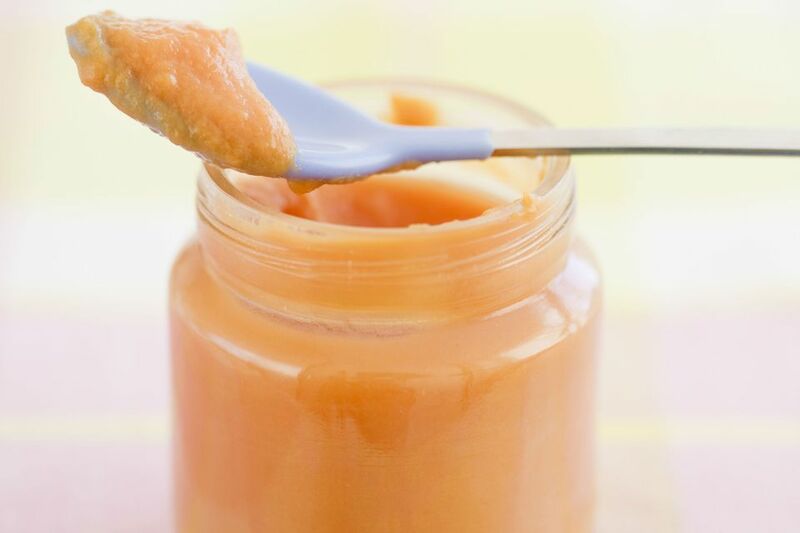 Pureed carrots or a combination of pureed carrots and other fruit may be used in this recipe. Note: This cake recipe is NOT meant for babies. Baby food is simply an ingredient. Heat the oven to 350 F. Grease and flour a 13 by 9 by 2-inch baking pan. Mix eggs, sugar, and oil together until well blended. Add dry ingredients and vanilla and beat until blended. Fold in the baby food. Cream 2 tablespoons of butter or margarine and 3 ounces cream cheese. Add 2 cups powdered sugar and 2 teaspoons milk. Mix until smooth and creamy. Add more milk as needed for a spreadable frosting.